Stay seated, a photo by stst31415 on Flickr. The funny thing on photography is that it sometimes hits you in the eye. If you go to a museum you would not expect to look through a window and see a wreck of a seat. 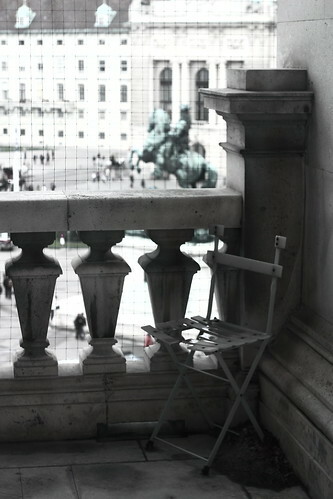 Especially if the balcony is part of Hofburg. Stay curious and expect the unexpected.